Irish tech experts are bringing together key players in the ICT and the agro-food sector across Europe to see how farmers, the food processing industry, distributors, retailers, regulators and end consumers can all benefit from the use of smarter, futuristic technology in the sector and ultimately boost regional innovation right across Europe. 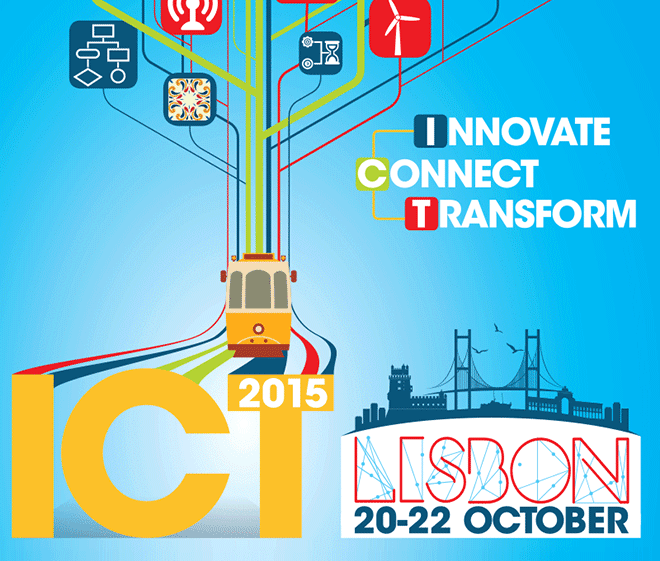 Waterford Institute of Technology’s Telecommunications, Software and Systems Group (TSSG) as part of the eDIGIREGION project, is leading and hosting a major ‘Agriculture 4.0 The Internet of Things boosting regional innovation’ workshop at ‘ICT 2015 – Innovation, Connect, Transform’ in Lisbon in late October. It’s the biggest ICT event in the EU calendar and all the big names in the global ICT market will be there. The TSSG-led session will see key delegates discuss current, unsolved challenges and identify where ICT and the interlinked, data-sharing elements of the ‘Internet of Things’ have the greatest opportunity to stimulate innovation, capacity and growth within all the regions of Europe. TSSG will also be making its pitch at the Lisbon event to lead a €30m EU-wide pilot on the ‘Internet of Things’ and its potential impact in agriculture. The Irish contingent feels its track record in the sector gives it a distinct competitive advantage. TSSG plans to put together a consortium at the Lisbon event to make a strong case to lead the pilot. Workshop host, Brian Foley, said the workshop session in Lisbon will begin with a series of pitches from pilot projects featuring innovative deployments of ICTs in the agro-food sector. The second part of the session will examine future challenges and how ICT can be used for the benefit of all in the sector and get more farmers, more countries, more regions involved. The session will explore challenges faced by different parties along the value chain and bring together creative researchers and innovators to think of new solutions to existing problems and innovative approaches that can lead to a competitive advantage in these fields. “Leveraging advances in ICT in traditional industries is a frequently untapped source of value added that has the potential to give those who grasp it first a real, global advantage. “Such a potential is clear today in agriculture, where ICT advances are enticing businesses to rethink their processes along the full value chain – from farm to fork – and consider a vast array of innovations. “ICT also has the capability to boost food security and food safety, energy efficiency, overall efficiency and sustainability of resources. We are only at the beginning of realising the potential of ICT in agriculture. It is a hot topic internationally. New investment in agri tech is passing out clean tech and fin tech. “Working together and working smarter we can make better use of limited resources, achieve higher standards, guarantee food chain traceability and achieve better outcomes for the farmer, the industry, the consumer and those regulating the industry,” Foley said. TSSG has taken a lead role in Ireland in recent years in linking up experts in ICT with the food and farming sector and has hosted a number of events to bring the various sectors together to achieve a competitive advantage. As the EU Quality Manager at TSSG, Brian Foley brings a wealth of EU as well as industry experience to the table. The University of Limerick graduate ran the Brussels-based European office of the co-op umbrella ICOS for six years. He moved back to Ireland and set up his own consultancy business to advise large players in the industry on all aspects of EU regulation. Mr Foley also worked with the TecNet network for Institutes of Technology before becoming the commercial manager of an agri company. He joined the TSSG as EU Quality Manager in 2013 and his experience from industry as well as policy has given TSSG a major competitive advantage in the past two years and will continue to do so into the future.